ARS Technica tells the story of Max Schrems, a law student seeking to make Facebook get serious about privacy. His quest began in spring 2011 as part of an academic assignment that morphed into an advocacy organization called "Europe vs Facebook". Schrems is intend on turning the screws on Facebook, and is urging everyone to request copies of whatever data Facebook holds on each of them, as he has done. 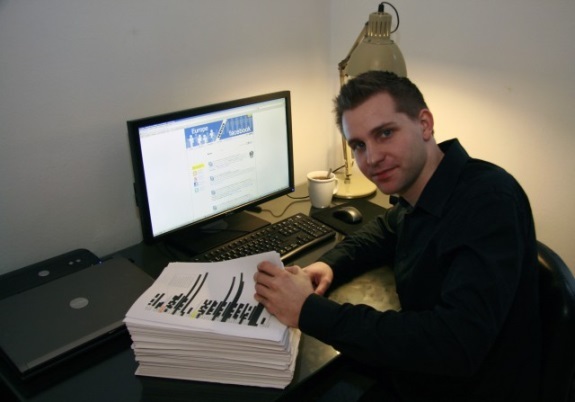 When Schrems e-mailed Facebook with his formal "personal data request" on June 2, 2011, the social networking initially send over a small file containing some of Schrems'' personal data, but when pressed Facebook eventually mailed Schrems a CD containing a PDF of more than 1,000 pages of raw private data concerning Schrems' Facebook activity. Full details at ARS Technica.